Happy New year from all of us at MORE HEALTH! 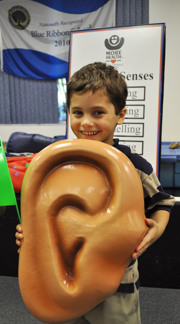 We look forward to 2014, and to all of the health and safety education opportunities that the New Year brings! MORE HEALTH hosted our 1st Annual "Celebrate MORE HEALTH" Fundraising Breakfast this past October! The sold-out inaugural breakfast, sponsored by TD Bank, included announcing the First Ring of Honor Class: Mayor Bob Buckhorn, Nancy Crane, Chief Deputy Joe Docobo, and Ron Hytoff. Guests heard a compelling account from a student whose life was changed by a MORE HEALTH lesson, and enjoyed a musical performance by Potter Elementary School Students. Thank you Tampa Bay for your continued passion for MORE HEALTH! MORE HEALTH is thrilled to provide volunteer services and oral health education to the Florida Dental Association Mission of Mercy event in 2014! Mission of Mercy events began in the state of Virginia over a decade ago, targeting underserved populations and providing free dental care to anyone who shows up. These events have since been replicated nationally. 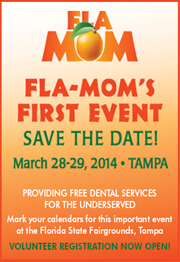 The first Florida event will take place March 28-29 at the Florida State Fairgrounds, right here in Tampa. 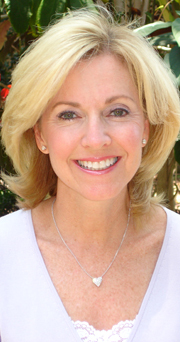 We take a closer look this month at one of our favorite MORE HEALTH instructors, Patti Bloemke! Years ago, with a physical education background and while teaching pre-school children, a friend told Patti about MORE HEALTH's exciting lessons. 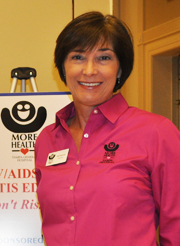 Before she knew it, Patti had joined the MORE HEALTH team, instructing middle and high school students across the Tampa Bay area about teen pregnancy, HIV/AIDS, trauma and organ education. 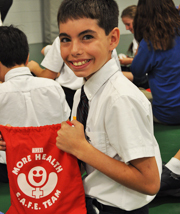 Fourth graders in the Tampa Bay area are prepared to act after receiving MORE HEALTH's Safety and First Aid "S.A.F.E. Team" lesson! Are you ready for an emergency? In an emergency situation, do not panic! Stay calm and use the ACT methodology: Assess the situation, Call 911 for help and Treat the victim if appropriate.